Summer seems to be flying by and before too long we will be welcoming new student staff and returners. The first day of work (or move in day for those in residence life) is huge opportunity for making folks feel they are a part of a team and set the tone for the semester. As a student staff member, someone who has worked outside of student affairs, a graduate student, and a new professional I have seen the good, bad, and the ugly. Everything from awesome welcome signs and balloons to no one being in the office and I had to wait two hours for a supervisor to arrive on my first day. I thought it might be helpful to share a few ideas for prepping for student staff and also this might serve as a good reminder for more seasoned folks. - Communicate arrival time in advance. The earlier you can inform your new employee the better, but if you do not know the time be upfront and let him or her know you are working on the schedule. - Make new folks aware of where to purchase a parking pass, bus pass or bike sticker. If applicable, make it known what different parking passes are available and if members of the department can have passes closer to the office. - Keep fellow staff members in the loop. Send out a tentative and final training schedule to new staff members and members of the office. Make sure the rest of the office knows the day and time student staff and graduate students are arriving. This includes coordinating office or cubical space, and working with the IT department on any necessary computer access. - Speaking of office space, make sure basics are around such as paper, pins, stapler, and scissors. Many staff members enjoy going through the office supply closet and picking out supplies they know work well for them such as organizational tools, calendars, markers, and other items. - For the actual first day, consider putting up a welcome sign or banner in the office space or on a residence hall door. Department t-shirts, giveaways, and mugs can also be a nice touch in a new space. 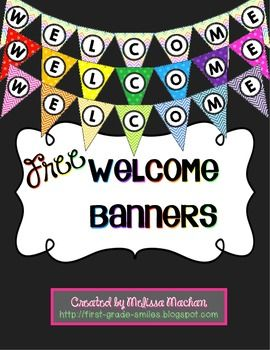 There are tons of free and great resources online for welcome banners and ideas. Check out www.pinterest.com/theraguide or type in welcome pintables to Pinterest. These are a few simple ideas. What would you add to the list? Does your department have any fun traditions? Feel free to share your ideas or contact me via Twitter @Stefanie_Lucas.